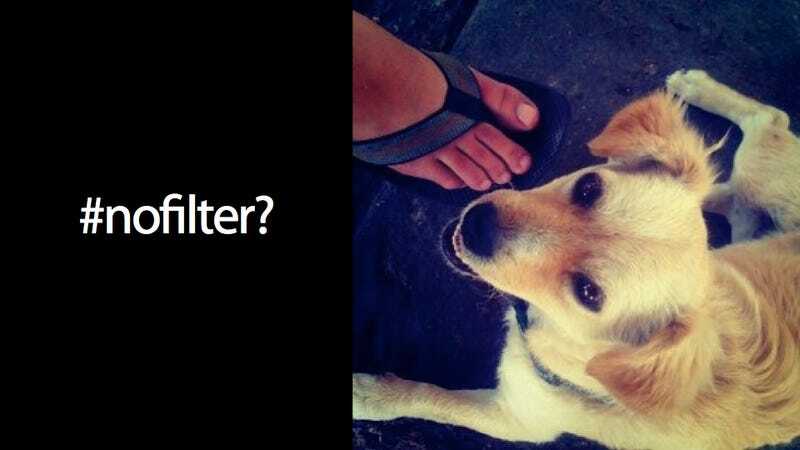 It may surprise you to learn that back in July 2010, three months before the official public launch of the $1 billion photo-sharing app we're all come to know so well, the project then known simply as Codename uploaded it's first test photo photo—a happy-looking blonde dog and a *woman's right foot in Teva sandal. That's right. No grapefruit mimosas. No crimini mushroom quiche. No muesli. No setting sun. *This, to me, indisputably resembles a female foot. But if you really want to debate this small fact, so be it.